Mistony, real name Jane Ikasi, is Kenyan-born United Kingdom-based singer, dancer and songwriter. Over the weekend, Mistonyreleased her new single ‘Body’ under the newly-relaunched Grandpa Records. Here are ten facts you probably need to know about Mistony. Mistony is a London-based female artiste. She was born in Kenya but moved to the United Kingdom at the tender age of eight. She attended Catholic school in Catford County Girls School in London. As an artiste, she sings, dances, writes songs and performs music. How did she begin as an entertainer? The Kenyan-born girl joined the first dancing group at the age of seven. While pursuing Information Technology (IT) at the Lewisham College and Goldsmiths University of London, she formed a dancing group called Golden Touch. With her dancing group, Mistony performed in numerous events, the main show including sharing the stage with Elephant Man and Beenie Man from Jamaica. What major signings and gigs did she do with her group as African musicals? Mistony and her group performed African musicals across UK and Ireland. The biggest and most memorable event according to her was Ya Asentwa a play from Ghana. It’s while doing a play with Adzido in Exeter that Mistony came face-to-face with the late king of pop Michael Jackson who was attending the show. Is it true her dance and performance group broke-up leaving her to pursue a solo career? Well, after the group and the company that was managing them fizzled off, she did not immediately go solo as she proceeded on and joined a group called Chakacha. This saw them perform in UK and France with Soukous stars like Sakis and Danni Embogo. Why did she then decide to become a solo and unsigned artiste is the group was doing so well? Mistony’s demand in the industry was growing at higher rate forcing her to become a freelance dancer, doing shows and videos for the upcoming musicians in London who were seeking recognition, amongst them was Steve Mbanza (Congo), N’Apho Mambo (Congo) and Moubidique (Côte d’Ivoire). Others outside London were Alain Mpela, Bouro Mpela, Yondo Sister. 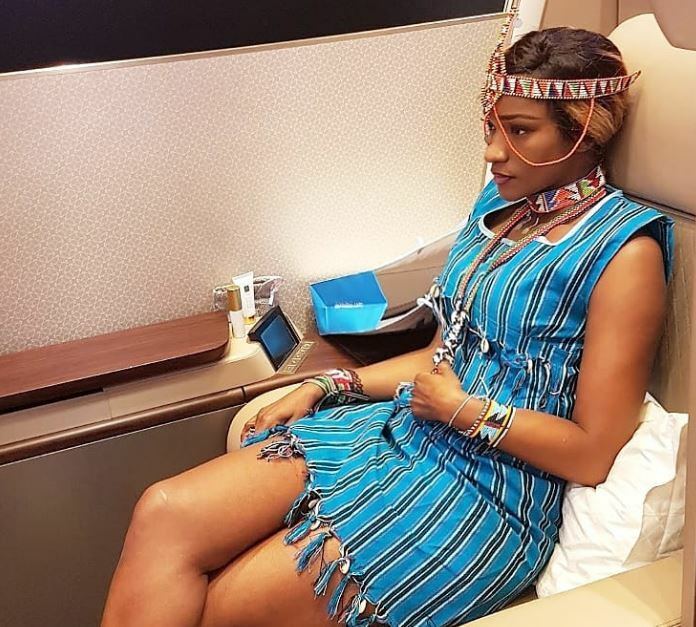 Does she really have connection with the Kenyan audience? Her Kenyan audience has been building slowly and her focus is in building a strong fun-base. Her connection with Kenyan audience started at Elephant and Castle at the Coronet Theatre in London a show that was staged by Nameless. Together with Nameless, she moved to stage a concert in Mombasa a tour that truly introduced her back to her roots. How long has she been in the game? Mistony released her first single Baybe in 2013 even though she had been writing songs since 2009. Before this, she had started her singing career by being a backing vocalist for bands that she had been working with the likes of Kasai Masai, Kanda bongo man, Africa Jambo and many others. This being her second track, Turn Me Bad turned out to be a great success. It got her opportunities to stage big shows like one she did with Jose Chameleon in 2014 at the Royal Regency banqueting suite in London. The attendance was 5,000 people. After that she made an East African tour taking her to Dar es Salaam, Nairobi and Mombasa. It was while in Kenya that she recorded her Swahili song Jua Itawaka whose video was done in Magadi. The video was launched in Tribeca. Is it true that Mistony has been nominated for the UK Beffta Awards before? Yes, this happened in 2015, which happened to be one of her big years as she went on to win the Best Newcomer Afrobeat Act 2015 during the awards. After this, she was invited to perform in and tour UK with Iyanya from Nigerian among other concerts. How is her latest project Want It all doing? Well, one thing is for sure…there is no stopping Mistony! 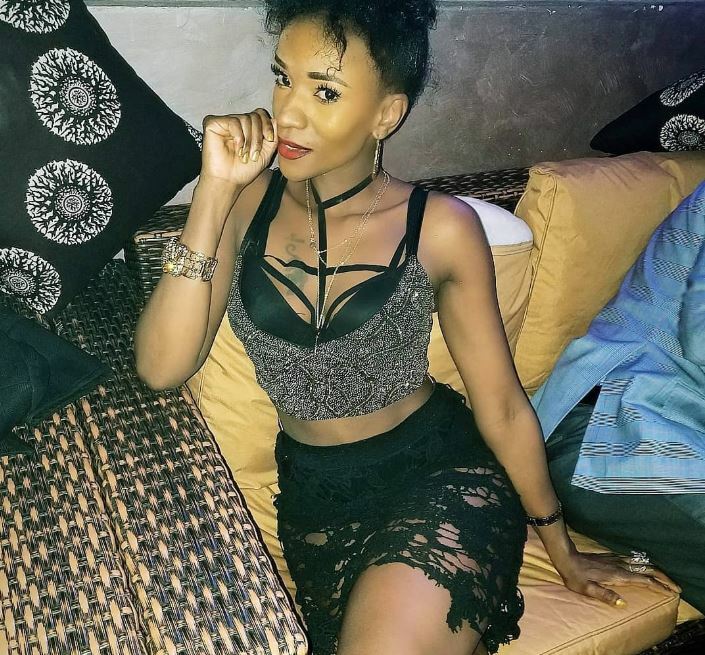 She recently released her original unique Afrobeat single called Want it All. It is however her this week’s release Body that is giving her the fresh 2019 buzz.